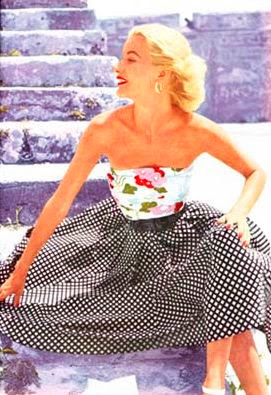 Ohh the polka dot dress, timeless. Yes I'm sure there is but no one comes to mind currently, I must be having a self confident week ha! Yes, I love to see women with real honest to goodness personal style. I have taken notice since I was a kid of that woman who you see every once and awhile that makes you take a second look and want to know more about her. Audrey is my favorite. I am soooo with you...I love women with style..French Style! Too funny, think we all have those moments, that is why there are so many trashy magazines for us too flick through at the long lines in the supermarket. And why not appreciate someone else's style, if something or someone inspires you, maybe we should celebrate that. I really enjoy your blog and just wanted to let you know. Thanks for stopping by. I don't know if I ever want to be anyone else, but sometimes I do wish I had a time machine so I could travel to other times and experience some of the things other women did. Whether we want to admit it or not, all of us women wish to be someone else at least once in our lives. I do so miss the classy style of that era! 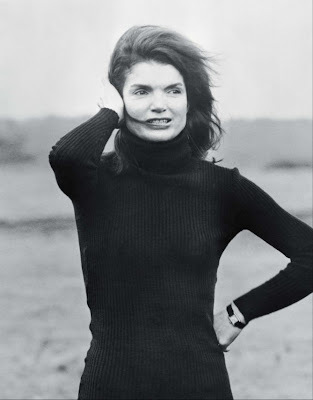 Jackie Kennedy had such style and class. I've never seen a woman who had that kind of elegance. Although Michelle Obama comes pretty close in my book! Jackie Kennedy... my all time favorite woman crush. All of them so inspiring, especially (for me) Jackie and Audrey. I loved the book What would Jackie Do? I'd love to be Grace Kelly! I agree with Alicia--I'm sure there is someone but can't pinpoint one at the moment. Have a great Wednesday and thanks for popping by. ...who wouldn't want to be as glamorous as those ladies! Hi Simone, have found your blog through A-M. I'll be busy catching up on past posts, it looks divine. wonderful inspiration, I think we all want to parts of so many inspiring women. a sprinkling of this and a sprinkling of that! Oh I know what you mean, I'm always so envious of the style of European women that Garance photographs....so effortless! OH YES I'd love to be Jackie or Audrey ... So gorgeous! Your are great Simone, I love your posts! Alas, I am not a timeless woman. My style is very different from these lovely ladies. I LIKE me, but I do fancy what it would be like to be a more graceful version. I was a teenager when Jackie Kennedy was in the White House, she was such a roll model for me growing up! Loved her style and personality! Not sure if I i'd like to be Jackie Kennedy though - having to put up with a cheating husband!?! Perhaps her fashion sense and style - yes!! All have great style and grace, although I can't say I admire Jackie's complicated romantic relationships. 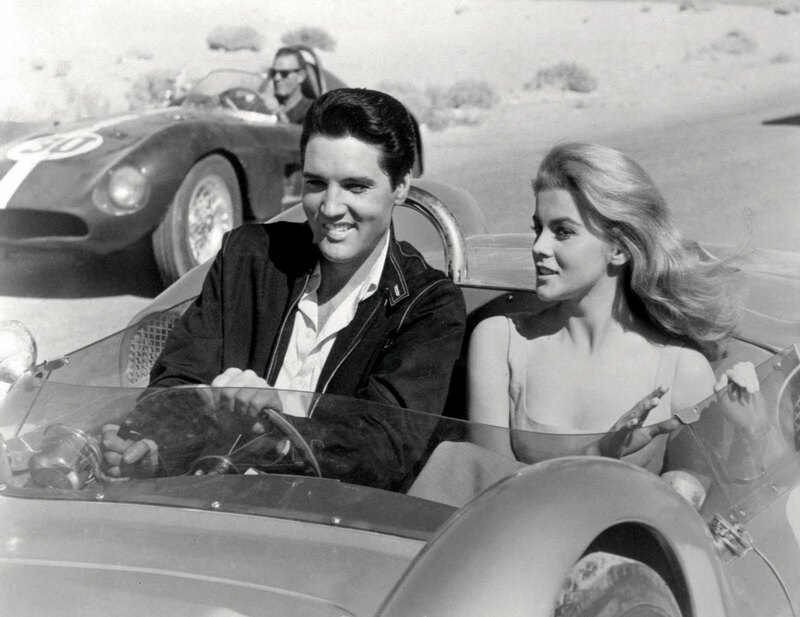 It's funny and sad to think that someone so stylish and accomplished must have lacked esteem in some way. I so agree I know looks can be deceiving so I would atleast like to feel like I have it all together like some of them appear to! 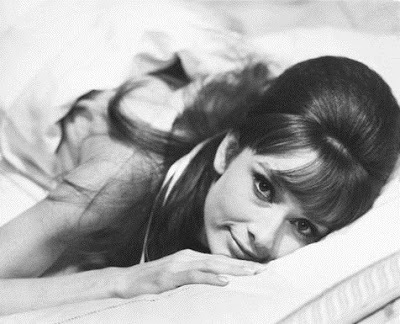 i completely want to be audrey. shes so beautiful elegant and classy. Yes, but often it's the clothes or the hairstyles, especially retro/vintage, that I envy, rather than the woman herself. Or maybe it's the confidence to pull it off that I'd like, particularly when I have my daughter's negative voice in my ear..."Oh, Mum, you can't wear that. That's just embarrassing." Lets not forget that all these gorgeous woman have rolled around on their couches with no make up on wearing tracky pants. I admire a number of my friends for their poise, family values and tenacity. The good looks and fashion of others, I love but I don't desire. These woman would have spent way too long in the mirror trying to keep up appearances. I'd rather get out there and live it up. oh simone- this is why my gals are called Ella as in Fitzgerald & Audrey as in Hepburn!! I DO agree with you!!!!!!!!!!! Being another woman for one day would be great!! A different accent, hairstyle, makeup,...WOW!!! Let's keep dreaming, my friend!! Kisses. Bela. Yes of course. Audrey and Grace for sure are on my list. I think they are wonderful inspirations and I'm sure they had women they admired as well. We can all learn from each other. That last dress is swoon worthy. It is only natural to have that wish sometimes, but one should not have it too often. To be happy and content with what you are and if you are not reinvent yourself into a new self not someone else! There is only one YOU! judging by the photos you put on your blog Simone I think you are equally as beautiful. I think it's the hairstyles and clothes of the era as most women of that day were so so stylish. I do think though we all have those moments. Great pick's of some great ladie,s Maroline Monroe always intrigued me shame about how her life ended but I always thought she was gorgeous! Great tute on the heart pin, so cute! If I could be anybody for a day it would be Stefanie Powers, she is such a wonderful conservationist and humanitarian!